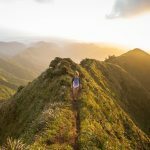 In recent years, home gardens have become more popular. A home organic garden gives homeowners control over what is going in their food, but without a garden hose water filter you are running a risk to you and your family’s health. When it comes to gardening, you have to consider water quality. You do not want to expose your plants to chemicals. The point of watering is to nourish and hydrate your plants. However, contaminated water reduces the quality of your crops and puts your health at risk. You can reduce the chemical load in your garden with the use of a garden hose water filter. 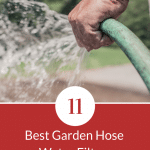 Read on to find out more about the Top 11 Best Garden Hose Water Filters. 2 What Kind of Chemicals are in Garden Hoses? The water that comes from your garden hose is not safe for drinking. The garden hose water is the same as the water that comes through your tap, but with some variation. Tap water is treated by a water treatment plant before sending it to your home. It also travels through pipes and fittings to prevent contamination. On the other hand, the garden hose is not as safe as the pipes and fittings inside of your home. The garden hose is dirty and the material causes a reaction with the water. It is made from synthetic plastic, rubber and web fibers to reinforce the hose. These materials make a water hose smooth and flexible. Garden hoses can also be made with NSF International-listed polymers. However, a water hose is usually tested to prevent the polymers from leaking in your water. On the other hand, many garden hoses on the market are not tested for use with hot water. If you leave a pressurized and non-reinforced water hose in the sun for long periods, then it can burst. The rusty plumbing outside of your home also helps with contaminating your water. What Kind of Chemicals are in Garden Hoses? Several toxins can be present in PVC water hoses, such as lead, antimony, phthalates and bromine. Some homeowners’ solution is to run the water hose for a few minutes before using it. 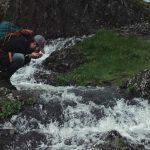 However, it is still not a guarantee that the water is not contaminated after using this method. Here are some chemicals found in a water hose. Bisphenol-A (BPA) is a chemical found in garden hoses. It is usually found in plastic wares. If you leave a water hose that contains BPA in the sun, then the material will react from the heat. This reaction results in the BPA getting into your water. People who drink water contaminated with BPA may see a rise in their blood pressure. Lead is another chemical found in water hoses. This amount exceeds the standard set by the Safe Water Drinking Act. A tiny amount of lead is too much. It can be detrimental to your health. Antimony is another chemical present in garden hoses. It can affect your health in a number of ways. An antimony exposure can cause liver problems, kidney failure and other problems to your internal organs. Phthalates is a chemical that is added to plastics and cosmetic. This chemical makes the product soft and flexible. It can affect your health in a number of ways. Phthalates can damage your endocrine system, cause behavioral changes and lower your intelligence. It causes men to become sterile and cause hormones to become imbalance. Many PVC garden hoses contain phthalates. These toxins were found in PVC hoses. On the other hand, non-PVC hoses do not contain these chemicals. You also have to check the fixtures and connectors to the hose. The connector can cause contamination as well. You should check your connectors for rust and change them out for new connectors. The water that comes from your hose can affect your plant nutrition. Contaminated water changes the growing conditions of your plants. It can kill or harm your plants from the chemical exposure. Water contamination can lower or raise the acidity of the environment. These growing conditions cause pollution in your garden. It is not something you want when trying to cultivate an organic garden with good plant nutrition. Home gardeners should never minimize the affects of contaminated water. It not only affects your garden. 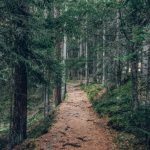 Toxins like lead, BPA, phthalates and antimony can contaminate the soil in your garden. These toxins can seep to the surrounding fruits, flowers and plants. Rain can cause the contaminated soil to run-off to the street and into your water source. The contaminated soil can affects bodies of water and the animals that live in the water. If people are getting their tap water for the contaminated water source, then the people who drink the water becomes sick. Contaminated water affects your kids, pets and livestock. It is a cycle that never ends. A garden water hose filter minimizes the amount of chlorine water that gets into your outdoor water supply. It works by attaching a dechlorinator to your water hose to remove chlorine. There are also a variety of filters for different uses, such as for washing your car and pet baths. You can also find a special filter for hydroponic gardening. Water hose filters are designed to dechlorinate outdoor water. It will not improve the taste of your water or remove organic contaminants. Now you know the importance of garden hose water filters. Here are the top 11 best garden hose water filters for your consideration, in no particular order. The focus is on features so you can make the best choice for your garden and outdoor watering needs. The Hose Inline Filter has a 3/4″ female hose thread with a 3/4″ male hose thread outlet. It also includes a 120 mesh poly screen. This poly screen can be removed for cleaning and is easy to detach. You can unscrew the female hose thread from the filter to remove the poly screen. This filter works by protecting drip emitters. It removes sand, rust and other impurities that may clog them. It helps to install proper filtration to prevent drip emitters from becoming clogged. The Watts 520021 water filter is another way to prevent water contamination. This filter is very versatile. You can use it with boats and recreational vehicles. It also comes with a variety of garden hose fittings. 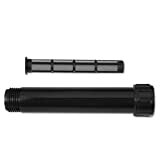 This high grade granular activated carbon (GAC) filter comes with a wrench, housing and a bracket. The Watts 520021 works by removing chlorine and sediments from your water. It also gets rid of odors and improve the taste of the water. This type of filter also has a 2.5 GPM flow rate, which is how much water flows out the water hose per minute. 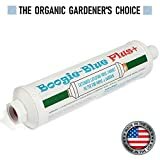 The Boogie Blue Plus water filter works good with gardens, recreational vehicles and outdoor use. It fits your standard 3/4″ garden hose thread. It is designed with a KDF and dual catalytic-carbon materials. This filter also gives you a 45,000 gallon output and a 4.5 GPM flow rate. The Boogie Blue Plus removes 99 percent of chlorine and 87 percent of chloramine. Chlorine and choramine are chemicals used in many municipal water systems. They are very aggressive chemicals and can cause illnesses. This water filter works by reducing the levels of herbicides, pesticides, heavy metals, toxins and volatile compounds in your water. CHLORINE and CHLORAMINE used in the municipal water system are aggressive chemicals which can cause illness, plus they eliminate your plants' essential biology. 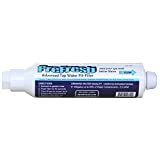 THE BOOGIE BLUE PLUS water filter removes 99% of the Chlorine and 87% of the Chloramine, and reduces all levels of volatile compounds, toxins, heavy metals, pesticides/ herbicides present in the water. UNMATCHED BY THE COMPETITION. Designed with more dual catalytic-carbon and KDF material than its nearest competitor, giving it a 45,000 gallon output while others barely reach 10,000. The Clear2o Garden & Pet water hose filter is ideal for organic farmers. It can help your organic garden to thrive. This water filter promotes healthy plant nutrition and growth. It returns the natural balance to your mulch, compost and soil. The Clear2o fits on your standard 3/4” water hose without the use of extra tools. This filter removes chlorine, pesticides, herbicides, heavy metals and lead. It also has a one micron solid carbon block filtration level. Easily threads onto any 3/4" hose - no tools required. The Camco GardenPure carbon water hose filter attaches to standard garden hose threads. It is good filter for organic farmers. Organic farmers can use the filter for aeroponic and hydro gardening systems. This water hose filter improves the health of your soil and plants. It does this by removing chloramine and chlorine from water to prevent harm to your plants. The PreFresh Water Hose Filter works as a water purification system for multiple needs. It eliminates or reduces the amount of contaminants that get into your water. This filter can connect to most garden hoses and purifies up to 8,000 gallons of water. Using a 4 stage filtration process, this reduces heavy metals. The filter removes scale, iron, lead and other heavy metals, chloramines, hydrogen sulfide and odor-causing organics. The Shurflo Garden Hose filter is designed with KDF media and coconut shell carbon. It connects directly to your water hose, which is the point of entry for the filtration. 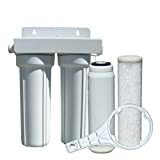 This water filter can reduce or eliminate bacteria, microorganisms, heavy metals, hydrogen sulfide, chlorine and bacteria. The use of this filter results in clean and safe drinking water. The Guardian garden hose filter is another way to prevent contaminants from getting into your garden. It uses ion exchange technology, which purify, softens and decontaminate fill water. This water hose filter removes hard minerals from your water. These minerals include lead, magnesium, calcium, copper, iron, lime scale, mold spores, algae and bacteria. The Guardian hose filter can filter up to 8,000 gallons of water. This results in removing up to 99 percent of contaminants and hard mineral deposits. CONTAINS - Ion exchange technology to soften, purify & decontaminate fill water. REMOVES - Common hard water minerals including calcium, magnesium, iron, lead & copper as well as lime scale, chemical contaminants, algae, mold spores, bacteria, organic debris TOC's, VOC's, chlorine by-products & suspended solids. FILTERS - Up to 8,000 gallons, removing up to 99% of contaminants & hard mineral deposits. 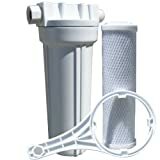 The Watts 520022 water filter is one of the best filters for garden hoses. It includes a KDF filter that comes with a housing wrench. This type of filter removes a variety of materials. These materials may include giardia, cysts, sediments, cryptosporidium, and chlorine. It also eliminates odors and improves the taste of water. 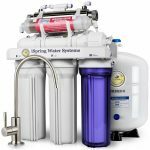 The Watts 520022 water filter has a 2.5 GPM flow rate and a one micron solid carbon block filtration level. This filter has garden hose fittings and can be used with recreational vehicles and campers. The Hydro-Logic Compact garden hose filter is one of the best garden hoses. It includes a filter saver brass hose bib connector and contains green coconut carbon. The customized flow restrictor allows for ideal contact time with the filtration media. It allows for the maximize reduction of tastes, chlorine, chemicals, iron and sediment particles. The hose filter has a 2 GPM flow rate with a long filter life of 8,000 gallons. The Clean Water Fun garden hose filter attaches to any standard garden hose thread. It can be used to for watering your garden and any other outdoor needs for cleaner water. It works by removing herbicides, pesticides, VOCs, chloramines and chlorine. This water filter also is made with a KDF and powerful catalytic carbon material. The carbon is made from a coconut shell, which has gone through a steam activation process. This steam process activates the carbon with micro-pores. It creates many pores on the surface of the carbon and is coated with the catalyst. This process breaks the bond between the ammonia and chlorine. It allows any remaining chloramines to be treated. You should take steps to minimize the risk of contaminated water from your water hose. Your family may be put in situations to drink the contaminated water by accident. For example, if you fill your pool up with the garden hose, then your child may be tempted to drink water from the hose. You should use natural rubber hoses that do not contain toxic plasticizers. The natural brands do not contain toxic chemicals like the traditional garden hoses. With that said, you should always read the label on the back of the product to ensure it meets your standards. It helps to buy a garden hose that have a low environmental impact and is safe for drinking water. However, you can start making changes around your home by utilizing a water filter for your garden hose. 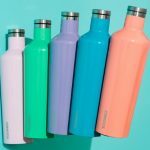 Curious if any of these filters eliminates flouride as well. It will depend on the filter as not all filters are equal in what they reduce or eliminate. Some water filters list exactly what they reduce, even to be explicit about things like Fluoride. It would be best to check with the manufacturer to make sure.